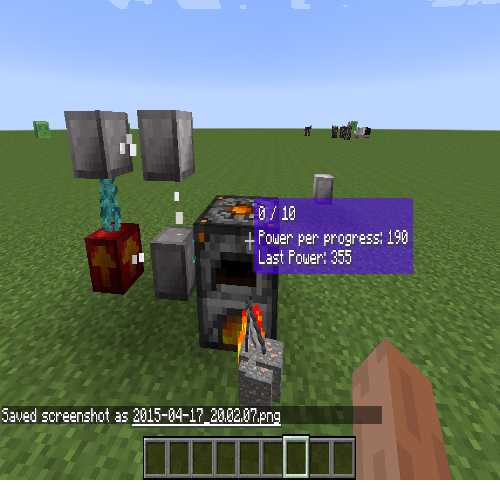 This mod has been straight ported from its 1.7.10 and 1.8.9 iterations. This mod is filed under MIT in correspondence to its parent license. Content will be added sparingly if time allows, follow the git page for more info and issue tracking. Fortified Glass is causing an xray effect where you can see through any blocks it's placed against. java.lang.IllegalArgumentException: Don't know how to add class pixlepix.auracascade.block.entity.EntityBreederFairy! Any help would be appreciated. Heck, if theres even a way to get rid of the ring without crashing (when i open the baubles menu, it instantly crashes) I would be very thankful. so glad this is being continued adding this to my server thanks for all the hard work. I am planning on making an addon for this, but I wanted to ask you first. Uhh, depends. 1.11 makes some fundamental changes for large mods and I am not sure how Aura Cascade will be affected by them. True. My friend Lycanite told me it's due to a serious recoding of how items stacks (and non-stack spaces) are coded. The way Aura Cascade handles things is different so I'd put that at toss-up for easy or hard transition right now. I love that fact that you ported it back in 1.10.2! I guess the changes where breaking the mod, since no 1.11 version has come up yet..?